Debt recovery is one of those topics you wish you didn’t have to Google. No business owner wants unpaid invoices. However, this is a problem that many experience and it’s challenging knowing what to do, so that you’re paid for completed work. simply doesn’t pay the money you’re owed? It’s difficult enough calling and emailing repeatedly (hoping this was an oversight) only to discover that it is merely the beginning of your unenviable predicament. There are many questions pertaining to the process one must follow, in order to recoup outstanding monies. What is the process for recovering unpaid invoices? Can I recoup money owed without going to court? Do I need a lawyer to assist me? Are there preventative measures I can implement to prevent this occurring again in the future? Small businesses are prime targets for invoices being left unpaid. Unlike a large business with a dedicated accounting department, small business owners often manage their accounts themselves or use a bookkeeper on occasion. This makes it exceedingly difficult to monitor and manage invoices, as well as outlay ongoing fees for an accountant. 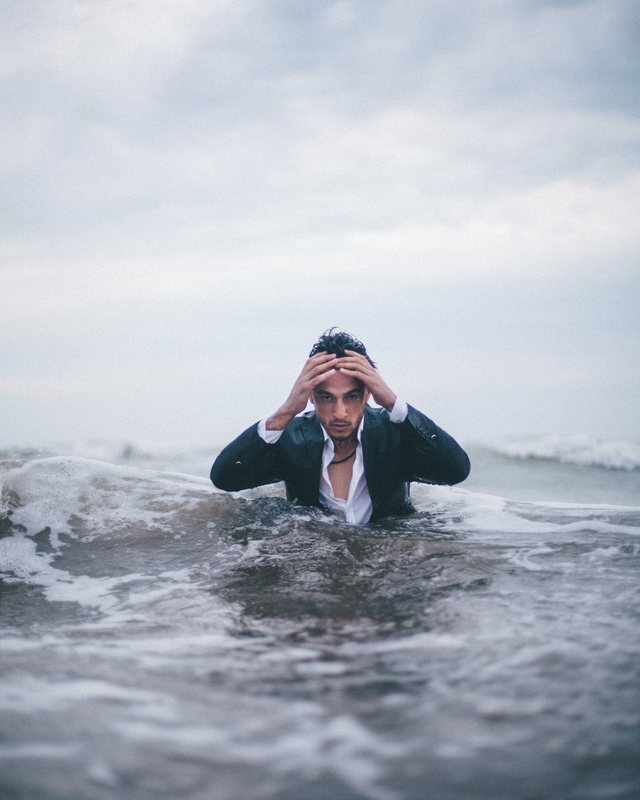 Additionally, while an accountant or bookkeeper is equipped to ‘balance your checkbook’, trying to recover money that’s unpaid is an entirely different matter. When you’re a small business, any unpaid amount is felt that much more acutely. If you don’t have the resources to constantly spend time chasing non-payment of invoices, the thought of recouping outstanding amounts becomes far more arduous. The pivotal question, is what can you do as a small business owner? The Australian government explores this issue in the following article entitled “what to do when you haven’t been paid”. Clients and customers refusing to pay for completed work is a strain, both financially and emotionally. Business News Daily raised an important issue highlighting that an, “unpaid invoice can hurt your business”. This is why it’s imperative to take action if you want to be paid. One of the aspects that makes this situation onerous is that as a small business you want to retain good client relationships. Attempting to recover unpaid bills is a fast way to jeopardise a once, good client relationship. However, is a client who does not pay really worth having? It’s a far better strategy to develop new client relationships, leading to successful payments than wasting copious amounts of time chasing invoices. Are you aware that there is a specific legal process that must be upheld? Being correct in this scenario is simply not enough to ensure you receive the money that is owed. Many argue that the Law seems to better protect the person or company that owes you money rather than you, a victim of outstanding debt. Australian Law states that you must prove you have acted in accordance with the debt recovery procedure. The ACCC (Australian Competition and Consumer Commission) outlines obligations in the following debt collection paper. Read the following Legal Vision publication to better understand the debt recovery steps. This terrific resource explains the debt recovery process in NSW. What should a business do when communication attempts fail? If your efforts to communicate with the other party has failed, the next step in the process is to send a Letter of Demand. A Letter of Demand refers to legal document that formally asks for payment to be made. This letter must be structured in a certain manner and it’s recommended that you engage a lawyer to draft a formal letter of demand. Additionally, and given the fact that you have to take the process to this next stage, suggests that a more authoritative solution is required. Besides the letter adhering to the structure and content required, this formal request is more meaningful when signed and sent by a lawyer. While it’s frustrating to think that you have to spend money paying a lawyer to prepare the formal request, it’s better than the alternative. It’s also important to remember that a swift resolution is what you’re seeking. Each moment spent trying to recoup money, is in fact costing you more money, due to taking time away from your actual job. What can I do if a demand letter is unsuccessful? If you have to proceed further in order to recoup monies owed to you, the small claims court is a route that many people explore. The following Arts Law information sheets explain this process comprehensively and clearly. While you might think that the information only pertains to artists, their information sheet about small claims procedure in nsw, is a useful tool. To avoid the need for debt recovery in the future, the following outlines some useful tips. Preparing formal agreements before engaging a client is the best defence you have to prevent unpaid bills from occurring. Do you want to create formal contracts, so you can avoid outstanding invoices in the future? SCB Legal’s trusted solicitors will take care of the necessary contracts and letters, so you can focus on your clients. We love hearing from our readers and invite you to share your business experiences with us. Recently I made a formal contractual offer, for a transactional-based exchange, yet the other party replied saying they ‘cannot … and will not’ accept and made no counter-offer. Am I correct in understanding that the other party doesn’t wish to engage in the negotiation process? I should mention that a proposed term was ambiguous and may have been considered an objectionable insertion. It even could’ve been misconstrued as a form of unconscionable limitation clause for the purported evasion of liability potentially arising from the pursuance of an alternate objective — yet on that interpretation the clause would no doubt be illusory and unenforceable as the promisor would, paradoxically, always have absolute discretion on performance, not to mention it’d inevitably involve an unfairly harsh finding of character on part of the promisee. And well that’s absurd. I prefer a construction based on relational contract theory and deems any laterality behind the term as prudent business acumen light-heartedly entertaining the prospect of handling unfinished business on-the-side. Correct me if I’m wrong, but so much behind forming such a deal is non-verbal. I’m still working on an equation that’ll prove this in practice … in theory, in my head, my formula works perfectly every time. Like all the digits absolutely drop to the floor for me 0:00 at the stroke of midnight like clockwork, revealing the answer. Yet in practice this particular exchange keeps coming up just shy. Last time I tested it, leaving out the unspoken colourful language, it worked in the material aspects so I’m getting warmer. Nevertheless, if the parties agree to disagree on the proposed clause it needn’t halt the negotiation process of business-as-usual. I guess what I’m asking is should I expect a counter-offer, or should I use interest or positional-based tactics to generate other options that may achieve an acceptable outcome and mutually desirable agreement? Keeping in mind I must insist on retention of a certain contingent condition as a form of security, because at this point in my life I honestly cannot afford, financially nor emotionally, to come out the other side even worse off, on either of those fronts. I wish to make head-way, yet the other party appears too risk-averse to venture into unchartered Territory. If only I could somehow just let that party know that whilst time is money in this day and age, at the end of the day, both are merely transient, and right now my future is literally on the line. Thank you for your comment and apologies for the delay in replying. So just to confirm, there was a contractual agreement in place between you and the other party? One party has defaulted and you have made an offer to settle? Have any court proceedings been commenced? It is very difficult to answer your questions without knowing all of the details. That is, I cannot conform that the other side does not wish to negotiate however, given they have not replied it may be assumed that this is the case. You are correct in saying that a lot of the contractual agreement is generally non-verbal or perhaps implied by actions or words not expressly written. Generally, even without a written agreement in place, if all legal requirements have been met for a contractual agreement to be binding then it will be upheld at law. In your correspondence you should specify a time limit for a reply and indicate that should they not respond then you reserve your right to commence proceedings in which case you will seek costs and interests. In the event they do not respond you can seek mediation or alternatively, commence proceedings. If they do not file a defence then you can seek default judgment. We always suggest getting a solicitor to prepare a letter of engagement to cover all issues and to protect your interests ensuring that in the event payment is not made, it will be recovered at court. and participate in discussions you can even receive Free Legal Advice! 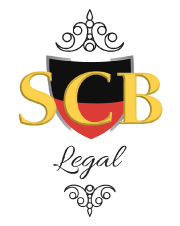 Would you like to join SCB Legal's blog community?